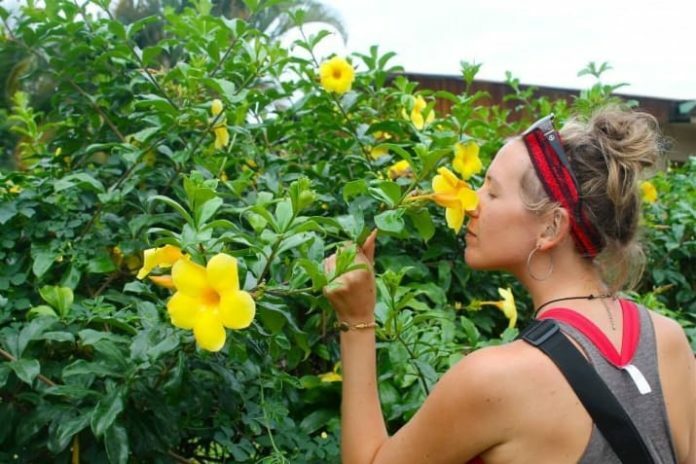 “In fact, I love Costa Rica so much that I actually lived there for a month last year, back when my job was remote,” wrote Annie. Annie lists her 25 reasons that still apply today. 1It has some of the most beautiful beaches ever. That blue water is not enhanced. Swear on my life. Neither is the sand. That’s just how the beaches are in Costa Rica. This particular beach is called Playa Conchal, because the sand is actually made of conch shells (!). And there are many, many others that are just as sweet. 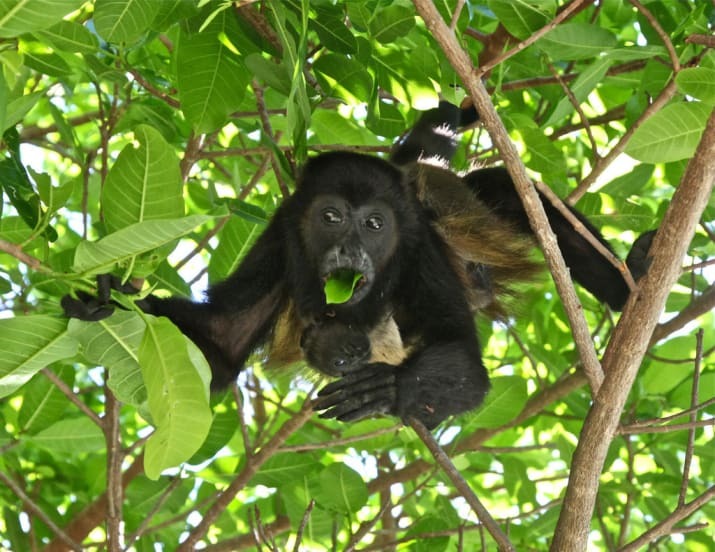 One of Costa Rica’s biggest attractions is Monteverde, the cloud forest. The main difference between a cloud forest and a rainforest is that cloud forests are located at higher elevations — which makes them cooler and also creates a foggy, misty atmosphere. Whatever the science behind it, though, the fact is that cloud forests are super magical and definitely worth a visit. 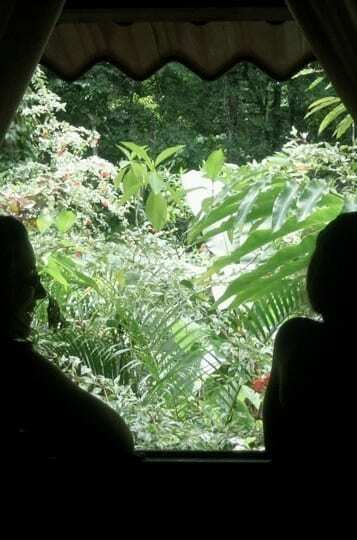 While there are rainforests in Monteverde, there are also many on the Caribbean side. When I went the first time, I stayed in Monteverde and then moved on to Manzanillo, a super chill little rainforest town. I actually liked Manzanillo better because it was super remote and I’m into that, but I still recommend hitting up Monteverde for the experience. 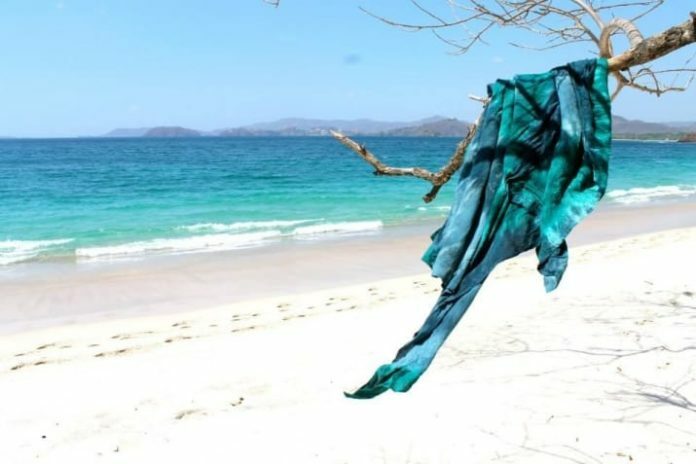 4Its motto, “pura vida,” which is Spanish for “pure life,” will speak to your soul. 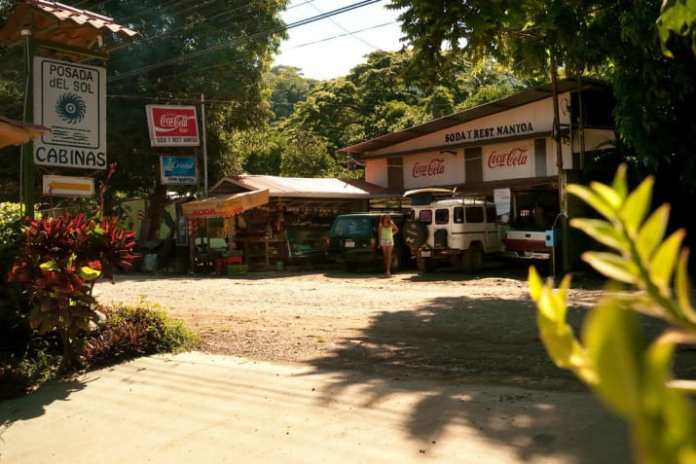 Of course there are tourism businesses that capitalize on the “pura vida” motto, selling tacky “pura vida” t-shirts, and offering “pura vida” yoga classes that are commercialized to the max. Ugh, it pains me to think of them! 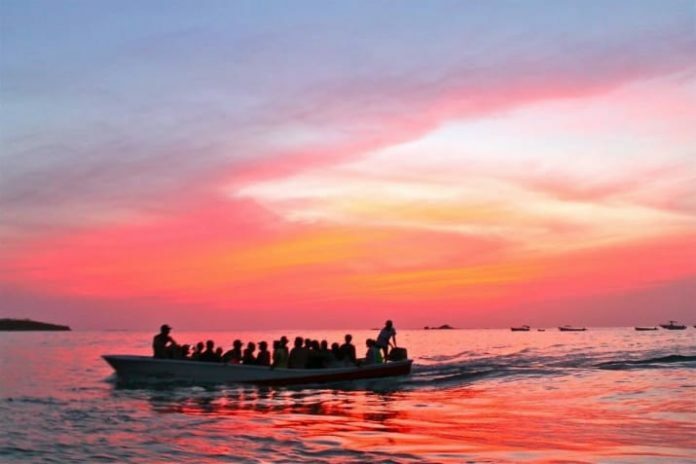 But steer clear of those touristy zones, and you’ll find that the “pura vida” lifestyle truly is ingrained in the soul of its people, who seem to appreciate life’s best simplicities, and will undoubtedly assure you that everything actually is pretty chill. 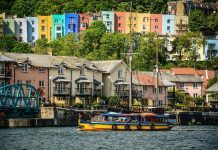 6In the less-touristy towns, it’s easy to feel like you’ve stepped back in time. 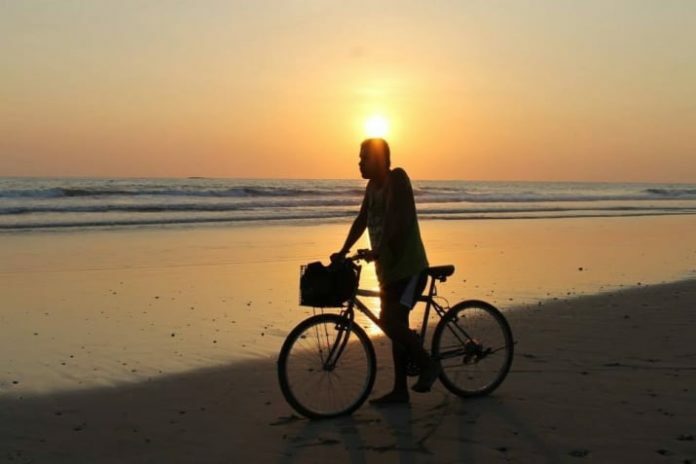 Smaller towns like Dominical, Uvita, and Nosara will take you back to the way things were. There aren’t really any big commercialized chains, people smile at you as you’re walking down the sunny street, and life is golden. 7There is a sloth sanctuary. Yes, a sloth sanctuary. 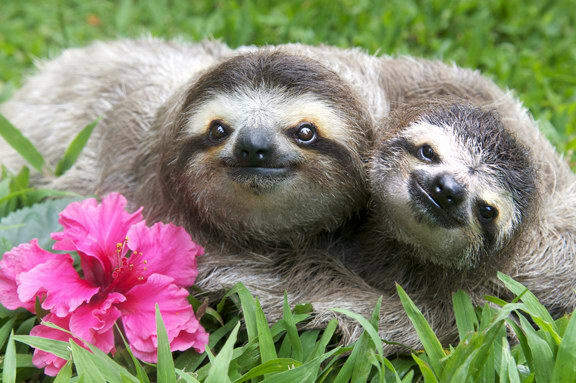 Aptly titled “Sloth Sanctuary,” the staff has been rescuing sloths — a very common animal in Costa Rica — since 1992. They’ll even take you on a sloth tour! More info here. 8And there are howler monkeys! They’re everywhere! They chill in the trees, just like that, and they howl. Could they be any cuter? 9The roads, though full of borderline dangerous twists and turns, are stunning. If you’re going on a road trip, be very careful: The driving can get tricky. People tend to pass you if you’re going slower in front of them, even if there’s a sharp turn ahead of you and it looks like things could get tight. It can get mildly terrifying, to be honest. But as long as you’re careful, it’s worth it, if only because you get to cruise along and see gorgeous local back roads like these. There are sunsets, and then there are sunsets. Costa Rican beauties fall under the latter category, namely because of the STRONG pinks and purples and oranges. They’re just killer. People sit on the beach every night to watch the sunset (myself included), and why wouldn’t you? It’s a daily show, it’s free, and it’s epic 99.99999% of the time. Documented evidence above. 12And the sunrises, if you can actually wake up for them, are #worthit, too. I took this one on a morning run in Tamarindo. The best part is that if you wake up for sunrise, you usually have the beach to yourself, which is the perfect time to clear your mind and let those heady thoughts roll in. 13There are beautiful bogenvelia bushes everywhere you look. 1414. And there’s some other seriously cool flora, too. Heliconia, pink ginger, and golden trumpet, respectively. 15The local food hits the spot, especially the plantains. In my opinion, the best food is served at sodas, which are the outdoor casual roadside restaurants — NOT the touristy ones. The most common Costa Rican meal is called a “casado,” which is: beans, rice with finely-chopped onions and peppers, a cabbage salad, fried plantains, and some sort of meat (chicken, steak, fish, pork, whatever) with fried onions. The plantains are my favorite — they are buttery and carby and fried and perfect. 16And their most well-known beer, Imperial, tastes great at the beach. Let me be clear: This is no artisanal IPA. 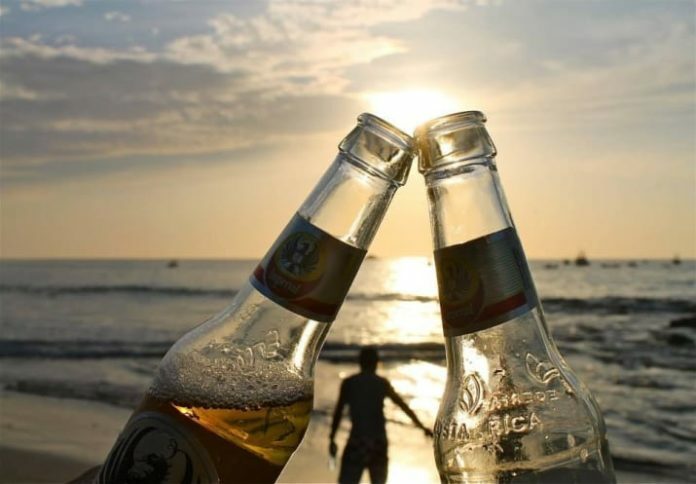 It’s a lager, meaning you can drink a bunch of them at sunset without getting tanked — which is exactly what a tropical beer is meant for. And it’s cheap, too! One costs about 600 colones (about $1 a beer). 17The surfing is incredible, both for beginners and for people with more experience. 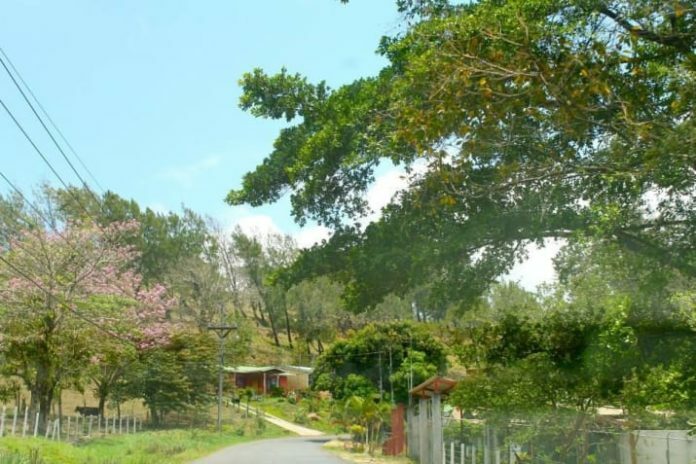 There are tons of surfing schools and surfing camps all around Costa Rica, like this one and this one, making it the ideal spot to learn how to get out there on the waves. But there are also different beaches with stronger waves, for super legit surfers. 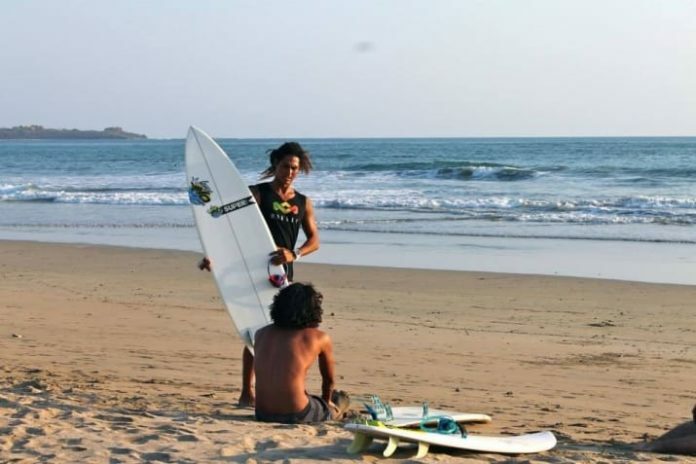 I hung out with some local pro surfers while I was there, and they raved about Playa Grande in Guanacaste. 18And yoga is all over the place. 19The volcano situation in Costa Rica is on point. There are six active ones — the most famous is Arenal, above — and another 61 dormant or extinct ones. Here’s a list of all of them. 20And the hot springs around Arenal are some of the most soothing in the world. Thanks to Arenal’s geothermal activity, there are tons of hot springs all around that contain healing minerals (and they’re pretty low in sulfur, so they don’t have that weird smell). If you want to go, stay in La Fortuna, the town near Arenal. 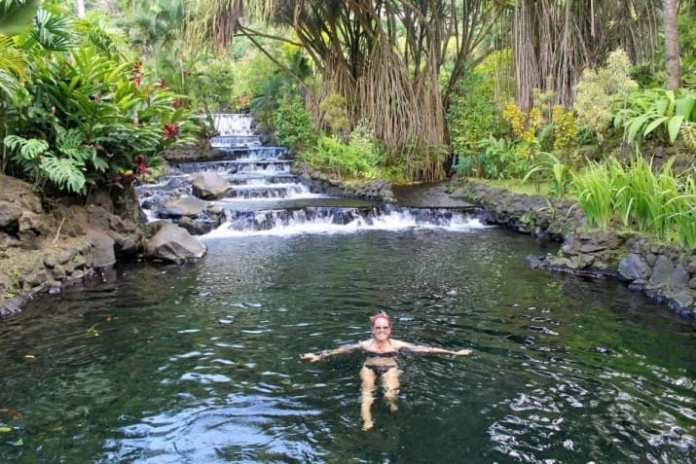 The most famous hot springs around the volcano are Tabacon Hot Springs, Baldi Hot Springs, Ecotermales Hot Springs, and the Springs Resort Hot Springs. I went to Tabacon on a day trip and loved it and highly recommend it, but I’m sure the other ones are great, too. 21Ziplining will change your perspective forever. 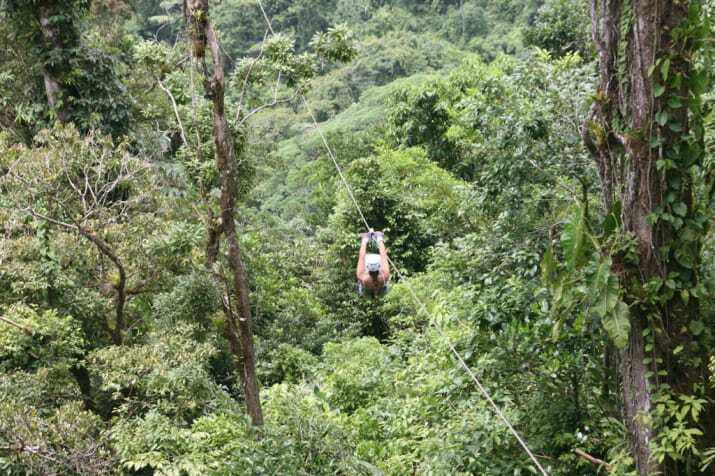 Most people go ziplining in Arenal or Monteverde, but you can also go in other places around the country. I went in Monteverde, and it was amazing! I’m really scared of heights (and, fine, pretty much all scary things), so this was big for me — but I ended up loving the ride, probably because I was going too fast to think. 22You can bike pretty much anywhere you want. Including, but not limited to, the beach! 23There’s also tons of hiking, for those who are so inclined. Forest hiking, beach hiking, you name it. It’s there. This one is in Uvita, though they really are everywhere. Breathe deep, get in with nature, and let yourself totally, completely decompress from the stresses of daily life. Pura vida, man. Pura vida.